Make a sand castle on the beach. Not at the beach? Use brown boxes and paper towel rolls to create your sculpture. Make an entire city of sand structures. How tall can you make them? How wide can you make them? Who would live in these buildings and what would they do in there? 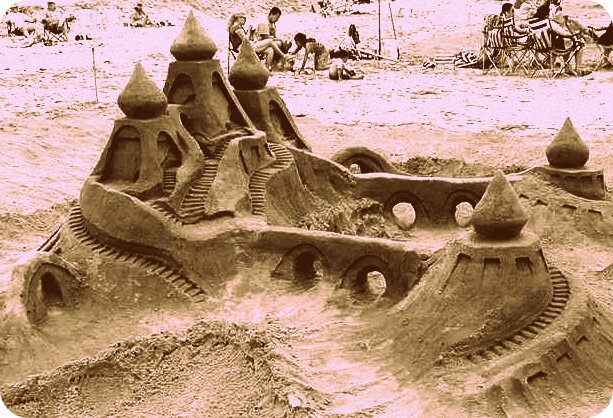 Use your imagination to create an entire sand city. Add in toy cars and little people figures to “live” in the city.